With most home renovation projects there are many options when it comes to building materials, and how much they will cost the homeowner. The same holds true for constructing a driveway, which can be done using materials such as loose stone, asphalt or even brick. Before you put in a driveway, you should always analyze the benefits and drawbacks of each material. Also, creating a budget for the project is a good idea as materials and labor can be quite expensive. Loose stone is one of the more inexpensive coverings you can use to construct a driveway. There are many types of loose stones you can use so the driveway will match the exterior of the house and your existing landscaping. 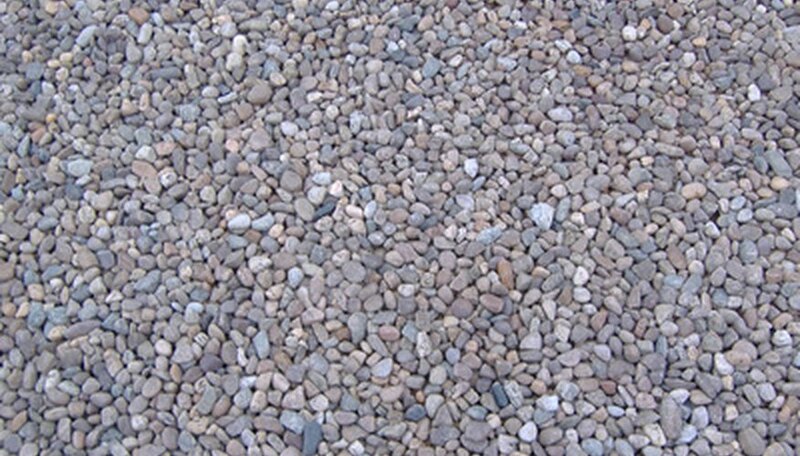 Unlike stronger materials like asphalt, loose stones can erode over time, but can be easily replaced for a low cost. Before you install a loose stone driveway you will need to put up edging to prevent the stones from migrating onto your lawn or gardens. Asphalt is the most common material used in driveway construction. This solid, black paving material looks good with most house exteriors and is another cost efficient material. Unlike loose stone driveways which can be installed yourself, you will need to call an asphalt paver to put in your driveway. They will use special rollers to roll the hot asphalt in place, making sure it is smooth and even. Driveways are sometimes constructed out of a material called tar and chip. Tar and chip paving is a material that mixes stone and asphalt together. The result is the best of both wolds -- you get the rustic look and feel of loose stone, with the durability and functionality of asphalt. You can choose any color of stone you want to complement the exterior of your home. Brick is one of the most expensive, but visually appealing, paving materials. Brick can be laid on a dry surface, or set in a durable concrete base. When you have a brick driveway installed you can choose from hundreds of different colors and patterns to match the style of your home. When selecting bricks make sure they are strong enough to withstand the weight of vehicles.